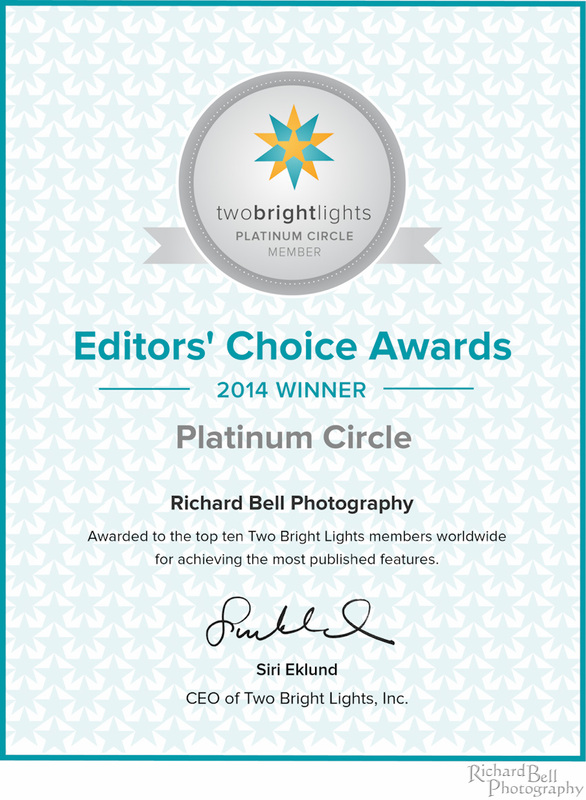 Rich Bell Photography | Platinum Circle Editor’s Choice Award! Platinum Circle Editor’s Choice Award! We are completely thrilled to announce that among more than 35,000 photographers competing for publication, we received the Platinum Circle Editors’ Choice Award. Our studio was in the Top 10 published! Thankful to all of the blogs who have chosen to publish our work, as well as, our wonderful Brides and Grooms for their beautiful weddings! /wp-content/uploads/2014/04/rb-logo-04014-300x88.png 0 0 admin /wp-content/uploads/2014/04/rb-logo-04014-300x88.png admin2014-02-28 15:08:082014-02-28 15:08:08Platinum Circle Editor's Choice Award!